With Maddox Grand Atrium packed with students, faculty and staff decked out in gray “Serve Somebody” T-shirts, the unprecedented “125 Hours of Service” project came to an end with Bruiser cheering throughout the final minute-long countdown before noon. What began Sunday morning at 7 a.m. with 20+ students serving breakfast at Room in the Inn concluded today on campus as volunteers wrote notes to place in their Operation Christmas Child boxes and gathered to watch the final minutes tick off the 125 hours of service. Throughout the week, Bruins of all ages have served at numerous sites across the city, including ThriftSmart, Martha O’Bryan Center, Nashville Rescue Mission, Second Harvest, Tennessee Voices for Children, Cheekwood and many others (images from throughout the week can be seen on the Tagboard and Belmont’s SmugMug gallery). 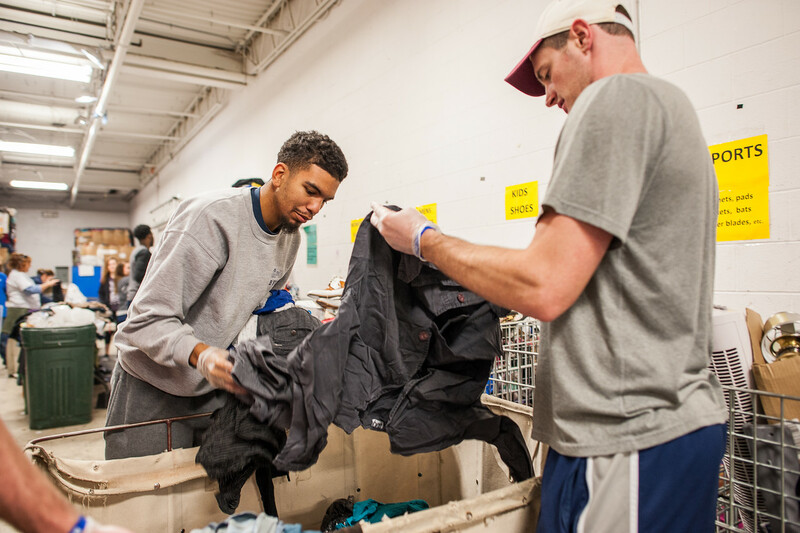 The event, which was organized as part of the University’s 125th Anniversary Celebration, saw more than 600 individuals volunteering for 744 slots at 26 different local nonprofits as well as other charitable efforts. 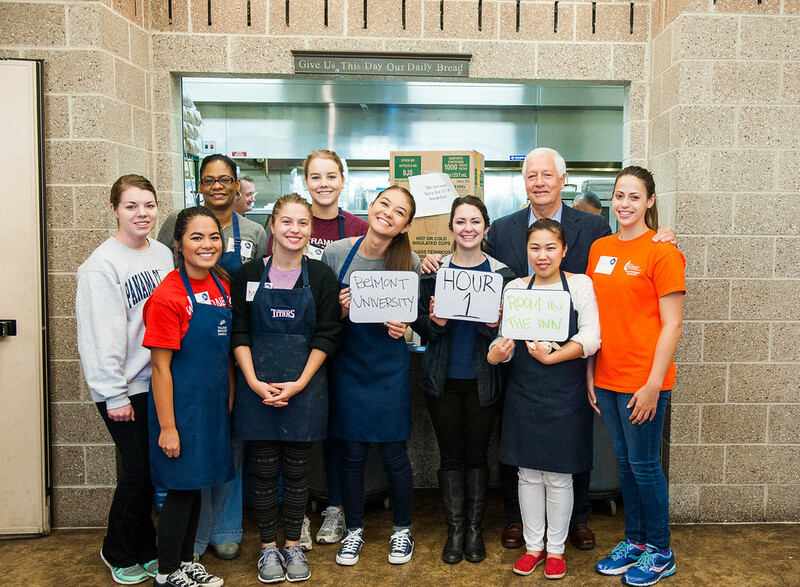 Shifts ranged in length from an hour to 14 hours hosting Room in the Inn overnight, and together the Belmont community contributed more than 1,706 volunteer hours in the five-day span. 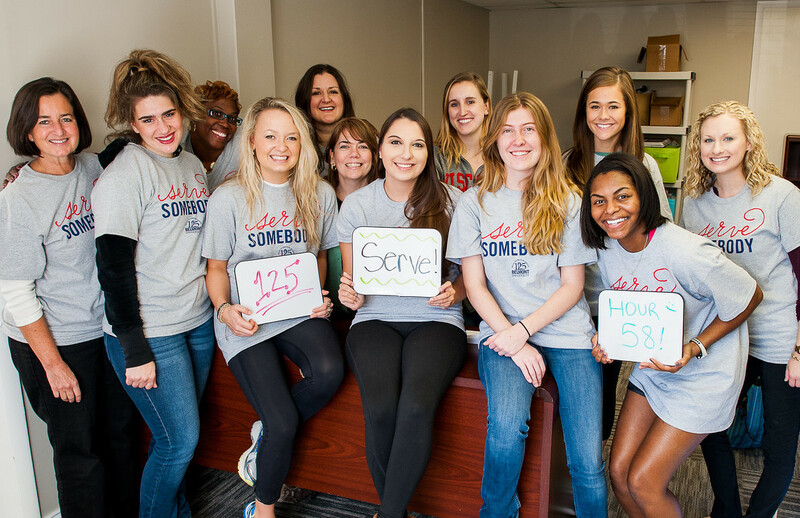 Belmont’s Office of Service Learning, led by Director Tim Stewart, played a pivotal role in helping organize the entire #Serve125 event. 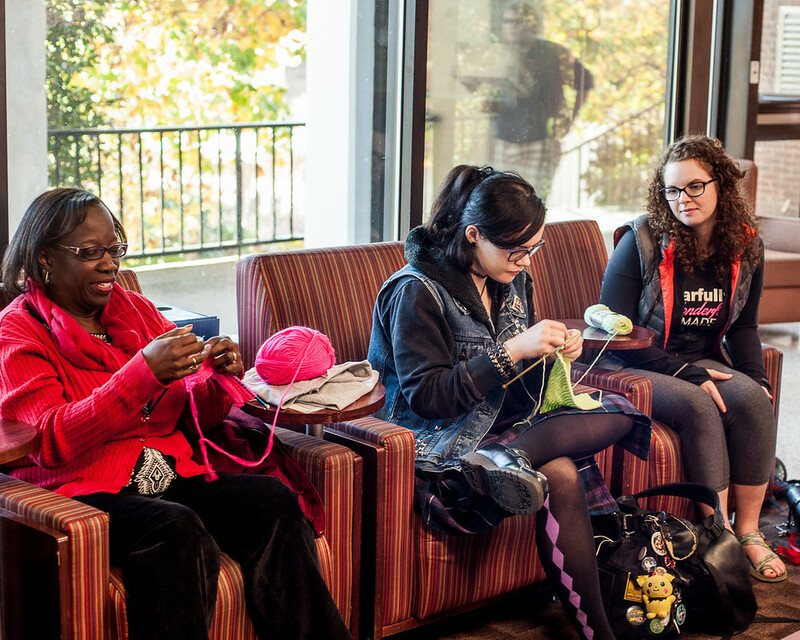 In addition to meeting regularly with the planning team, Stewart and his student staff–Ali Humbrecht, Jesse Peck and Alisha Gatchel–also entered the details of each project in the GetConnected online system, ensuring the entire event flowed smoothly.